Chesapeake Hospitality provides institutional and individual hotel investors and owners of full-service hotels with results-driven management expertise. A niche hotel management company, we have a laser focus on managing upper midscale, upscale, and upper upscale hotels across the US. Over nearly 60 years, our reputation for strong leadership, financial discipline, and transparency has established us among the top 30 independent hotel operators in the country. 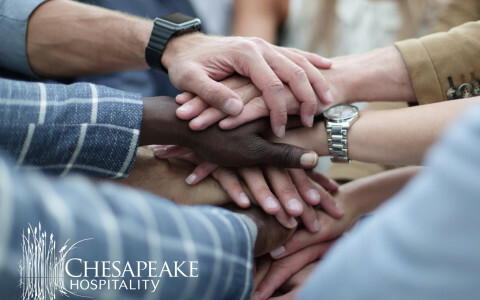 As an approved operator of the industry’s leading brands, Chesapeake Hospitality provides the highest and best value for owners, while prioritizing guest satisfaction and profitability. We have a strong track record of delivering creative, profit-generating food & beverage innovations that optimize space and complement your core business. Chesapeake Hospitality’s E-Commerce team manages all aspects of your online presence, ensuring that your hotel’s story is unique, highly targeted and maximizes profitability. Entrepreneurial style meets corporate structure, making our approach to operations one of the industry’s best business models. From goal-oriented marketing plans to strategic initiatives, our best-in-the-business sales and marketing teams merge passion with productivity. Adaptive re-use, converting historic LaSalle Building (501 Olive Street) to hotel. Rooftop restaurant/bar and social space. Located in the heart of downtown, near Gateway Arch, 2 blocks to convention center, 7 blocks to Busch stadium-home of St Louis Cardinals. "Not everyone can handle the revenue side of the business well - they can!" "Chesapeake is in the minority of management companies that offer a high level of personal service."